This compact disc was released to coincide with the opening of the Leif Elggren retrospective exhibition 'Flown Over By An Old King' on 14th October 2000 at Färgfabriken curated by CM von Hausswolff. The 14th October is also Kings Day the anniversary of the first meeting in 1991 to discuss the foundations of a stateless country which in March 1992 became the Kingdoms of Elgaland-Vargaland. 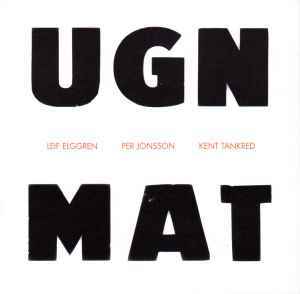 UGN was recorded in December 1984 at EMS in Stockholm for the performance 'UGN' at Fylkingen Stockholm on January 12th 1985. UGN was first released as a 12" by Radium 226.5 in 1986 [RAFE 016-46]]. MAT was recorded during Spring 1989 at EMS for the performance 'MAT' at Moderna Dansteatern in Stockholm on May 19th 1989.